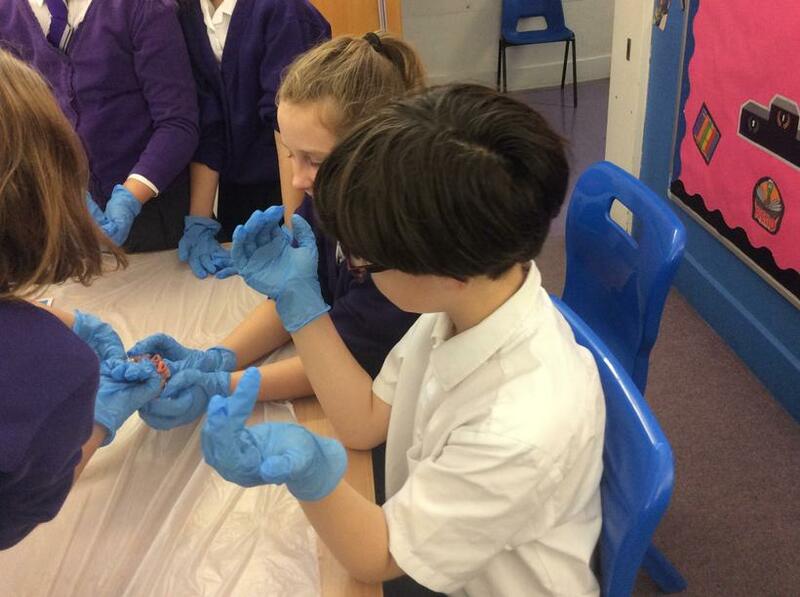 In February 2019 we visited the Museum of Kent Life for a World War 2 day. 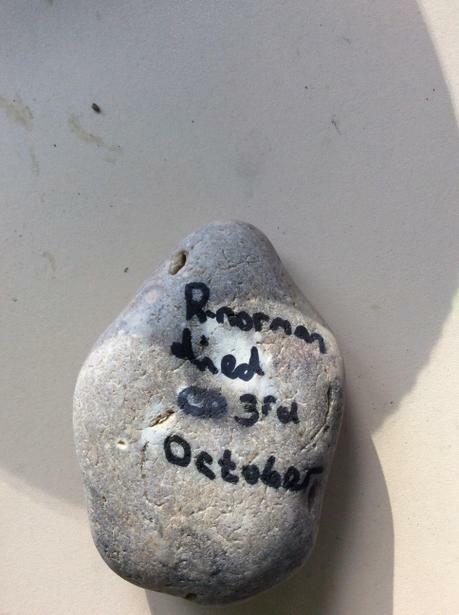 We experienced the ARP Warden, Dig for Victory, The Home Guard, Rug Making and the RAF navigation. 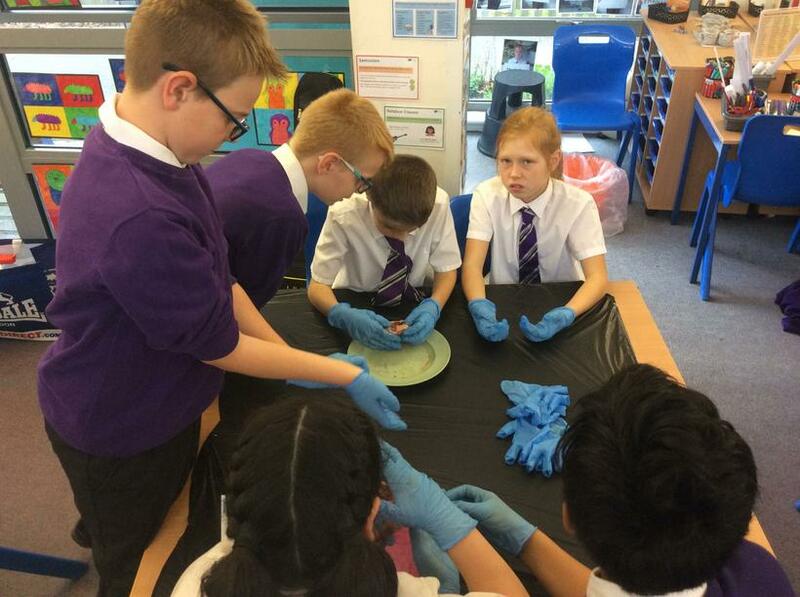 Also, we particularly enjoyed the rationing and black market talk. 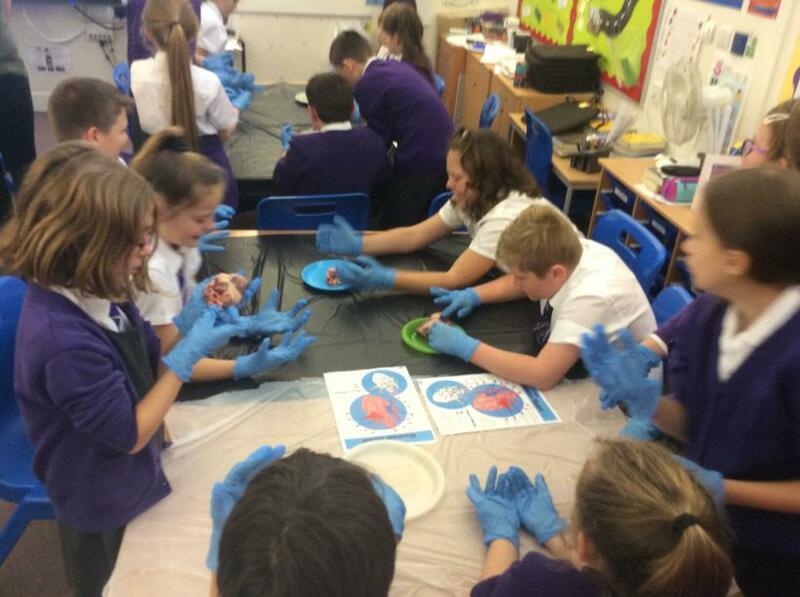 All the actors we very good and we thoroughly enjoyed the whole day. 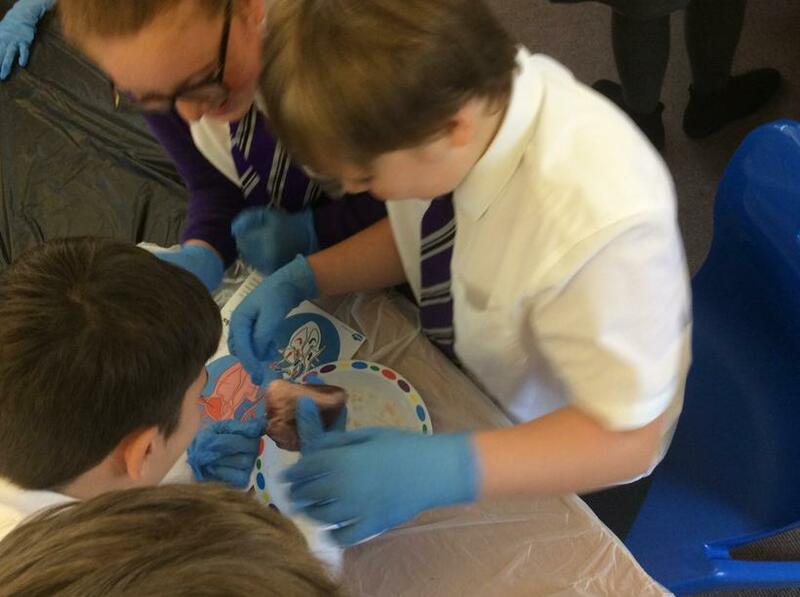 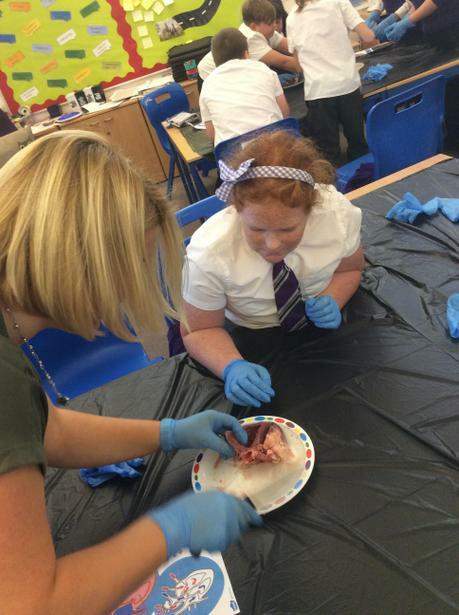 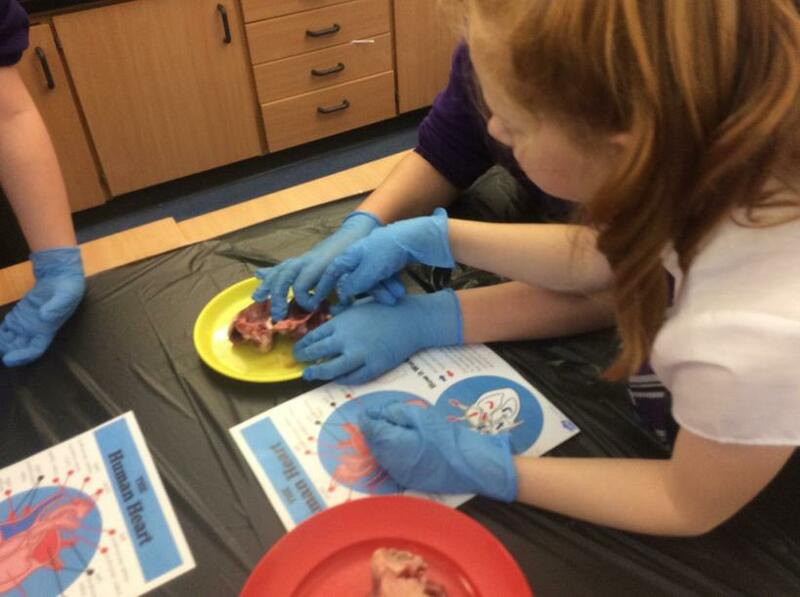 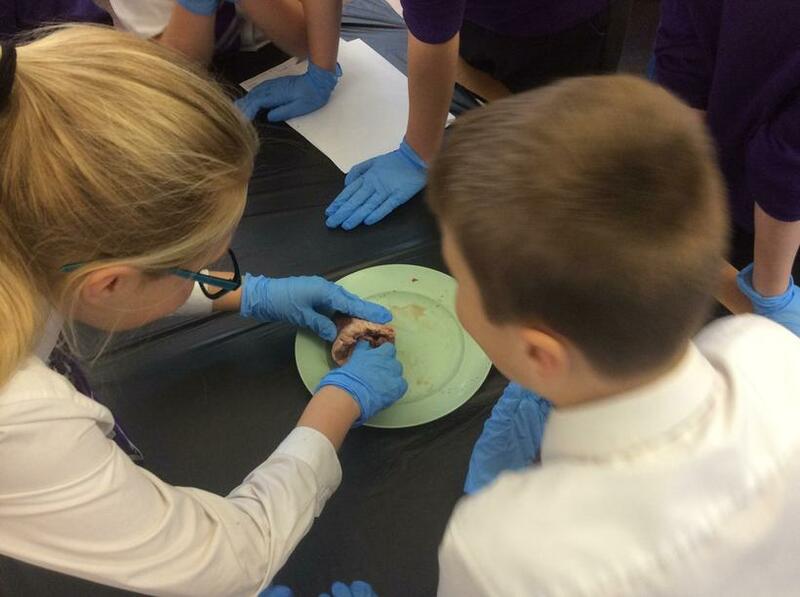 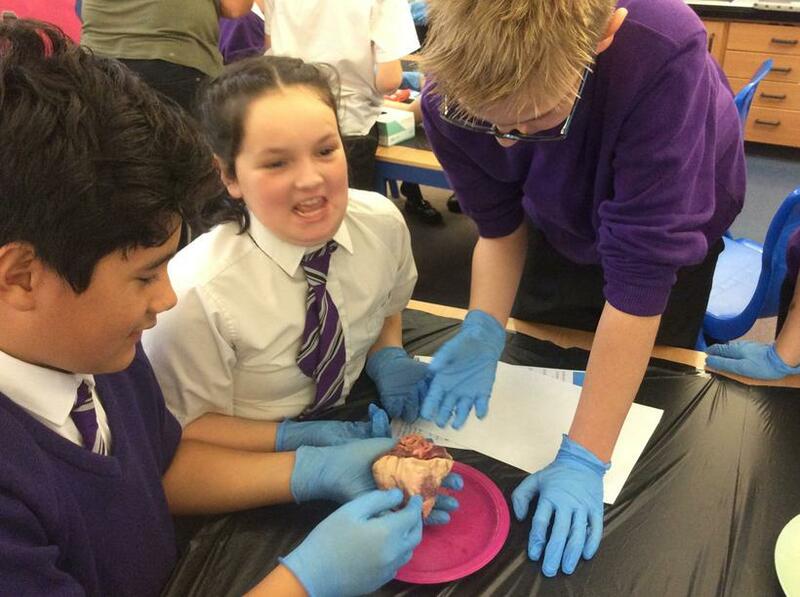 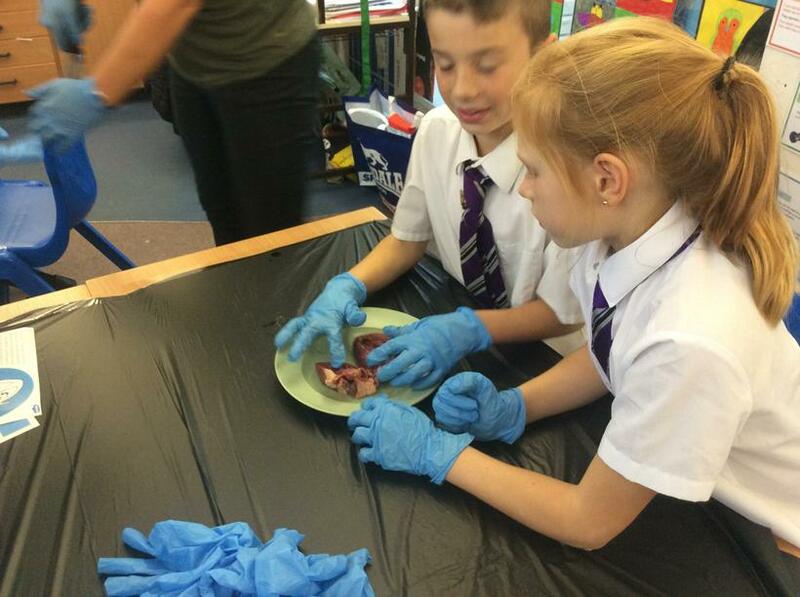 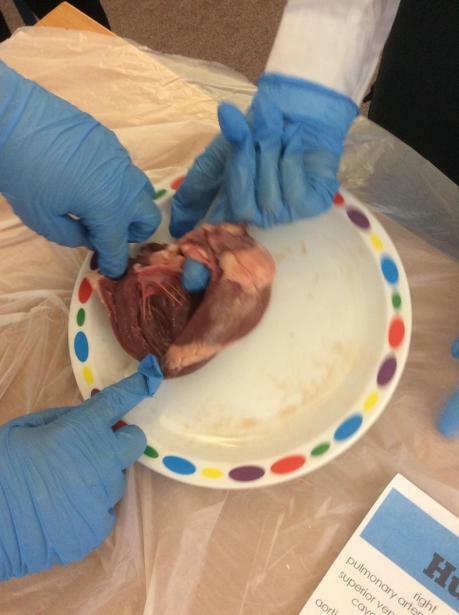 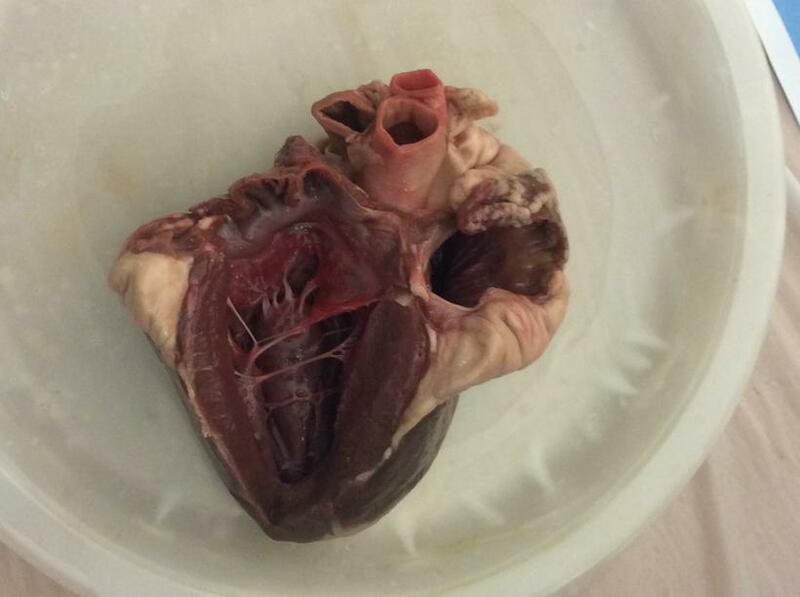 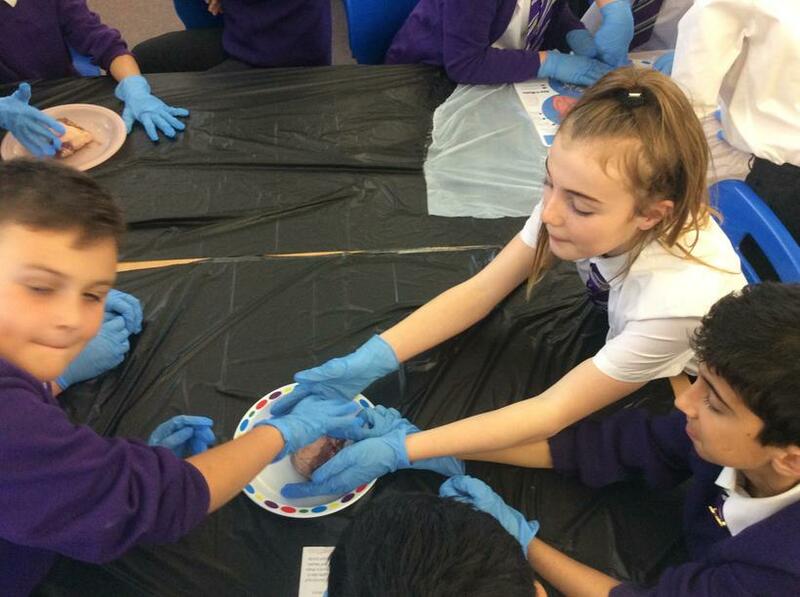 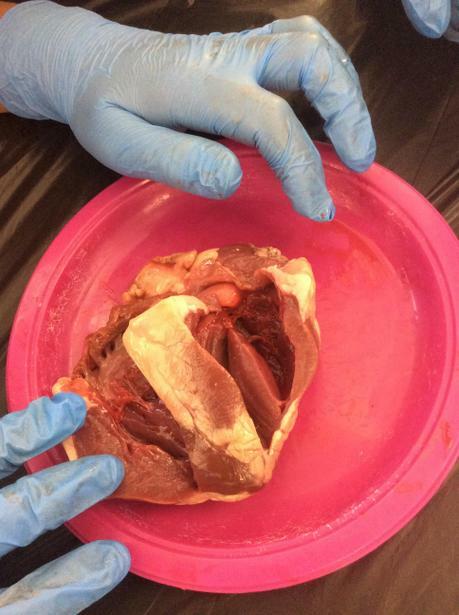 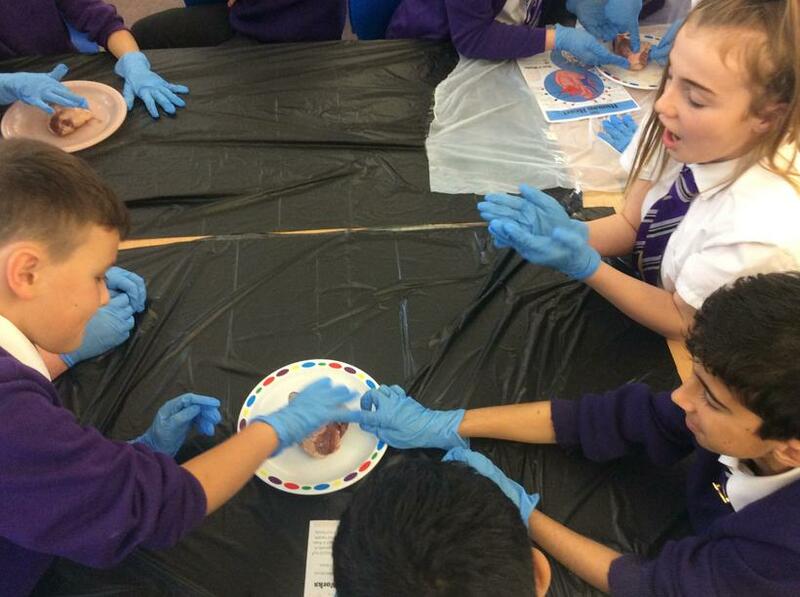 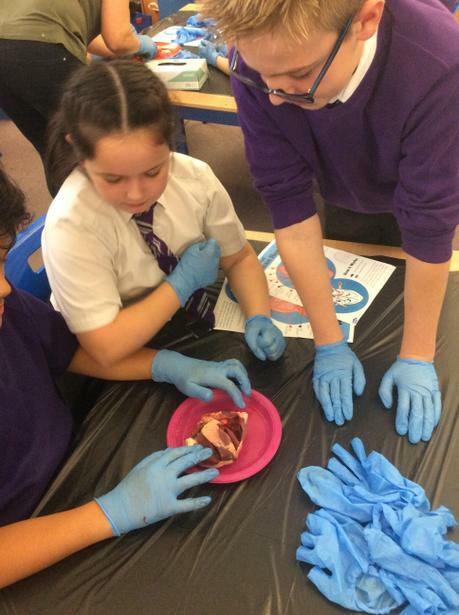 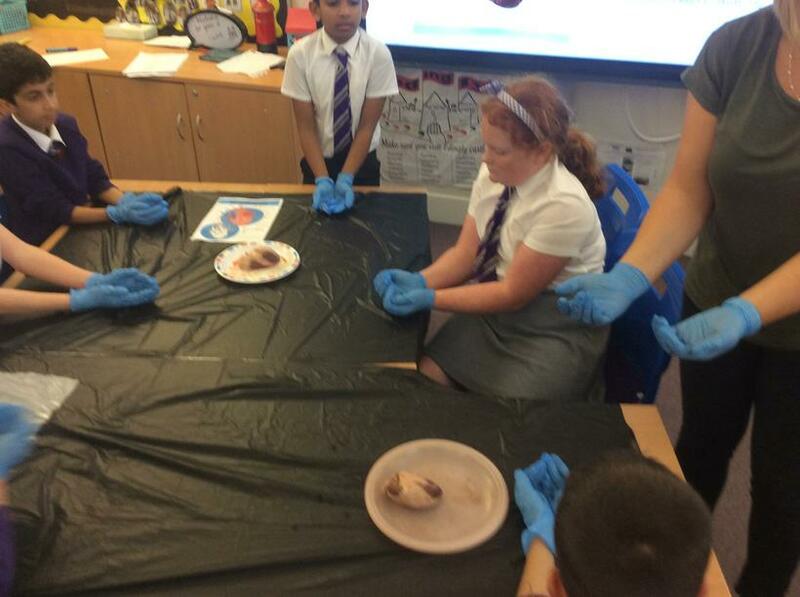 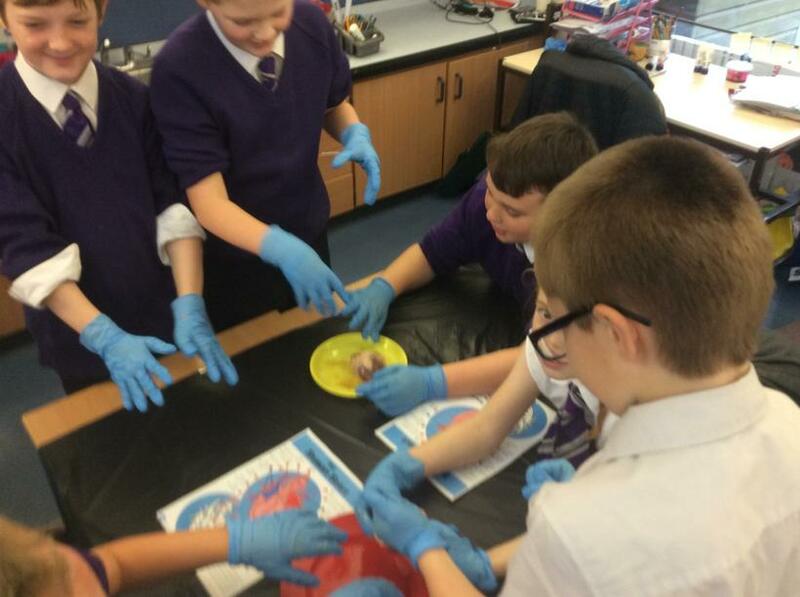 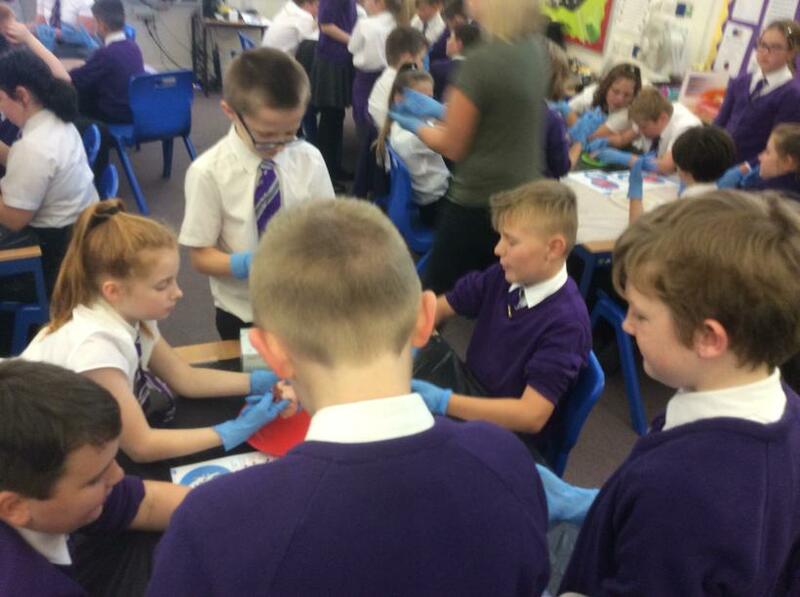 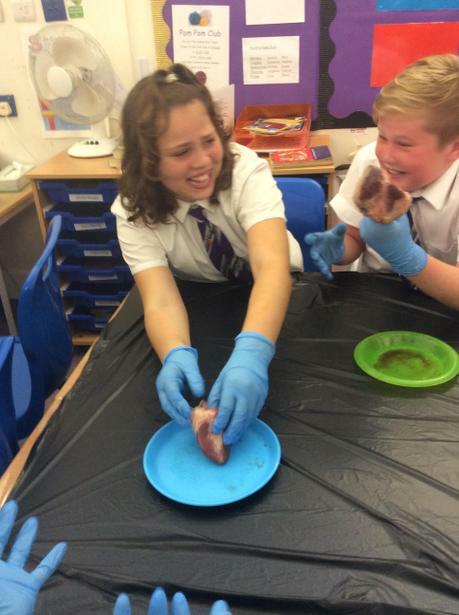 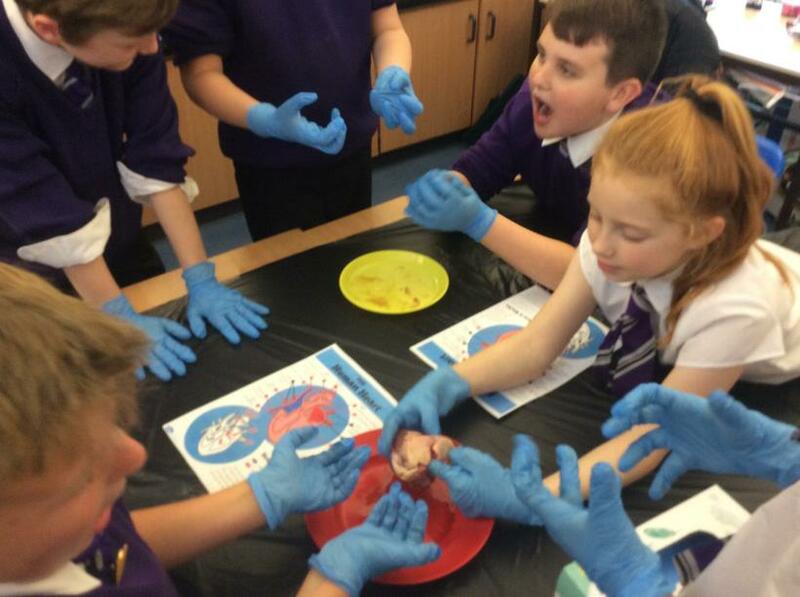 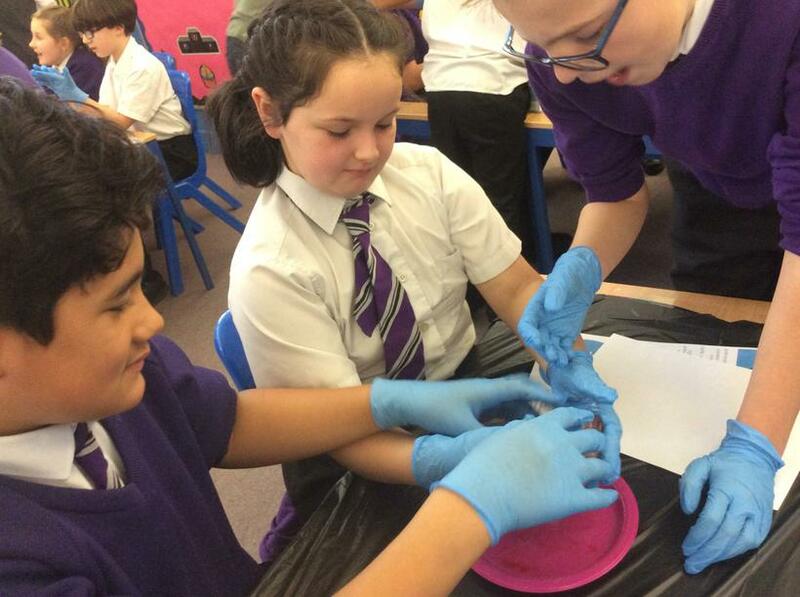 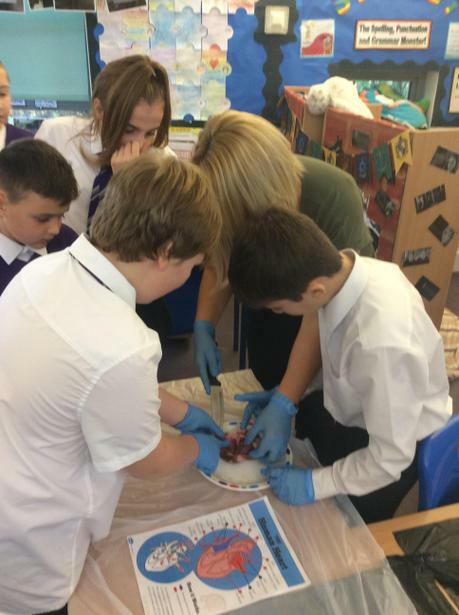 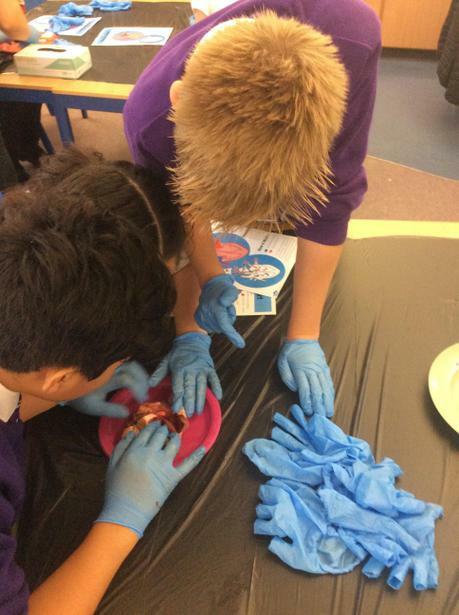 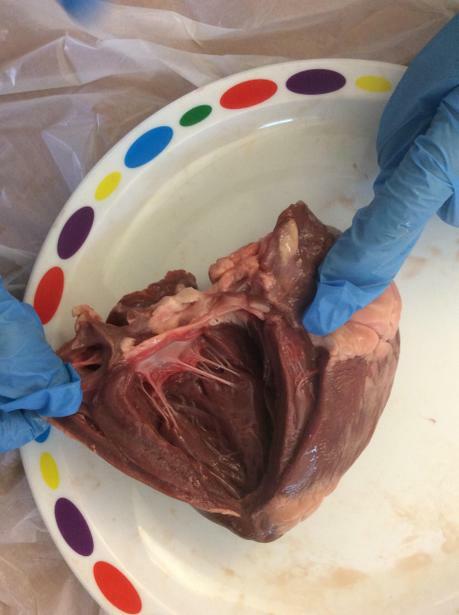 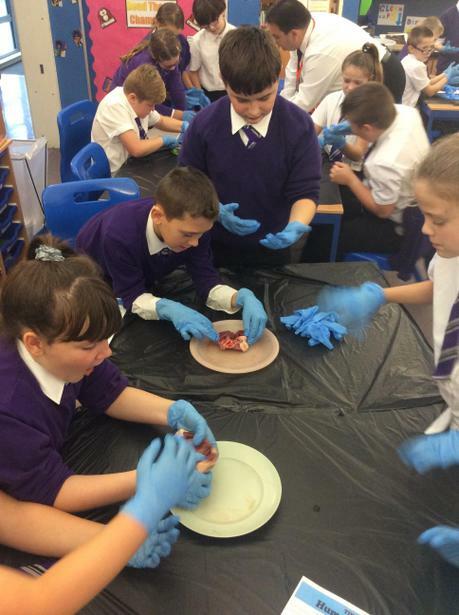 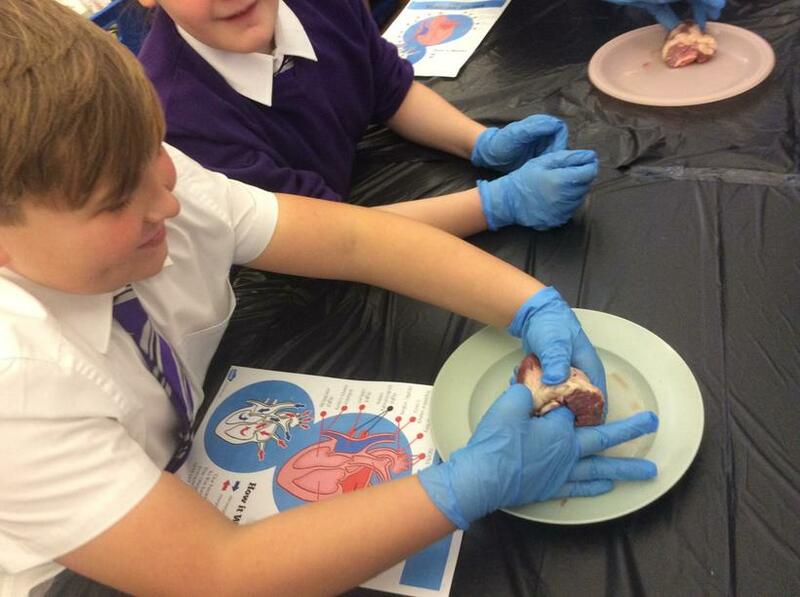 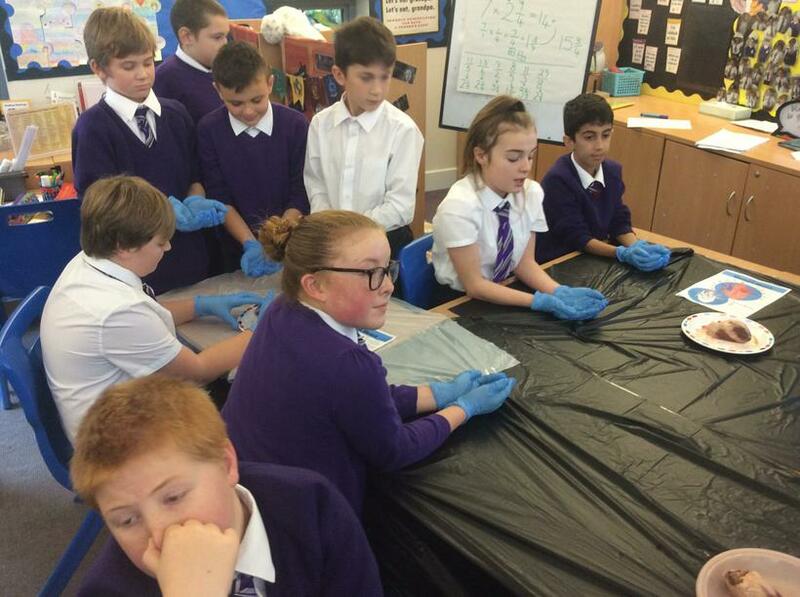 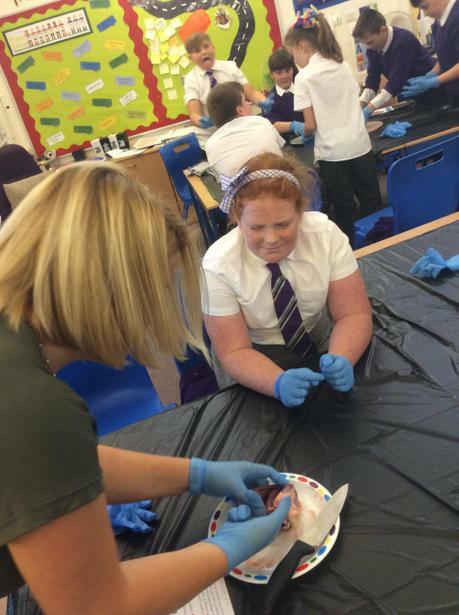 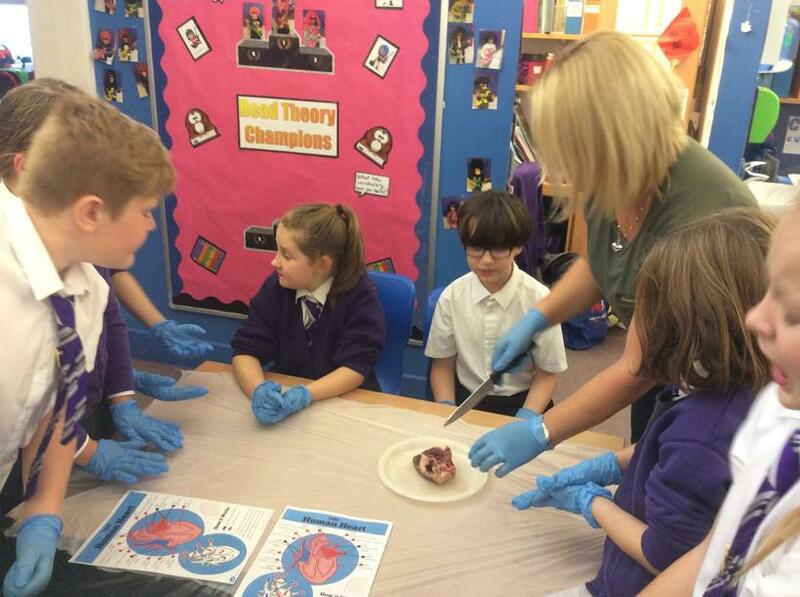 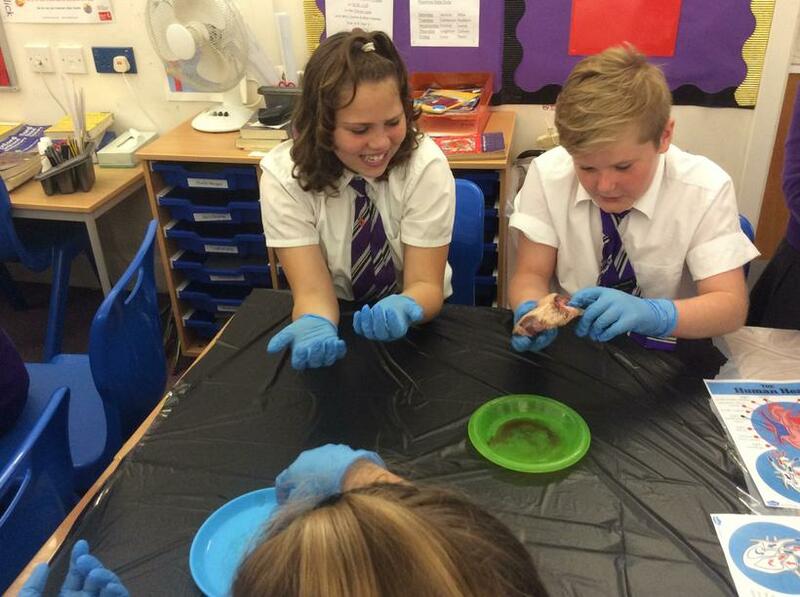 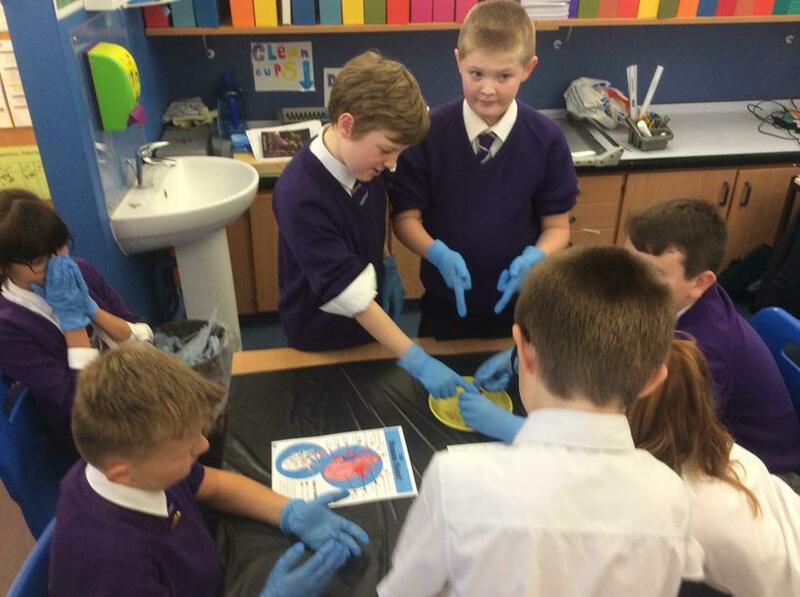 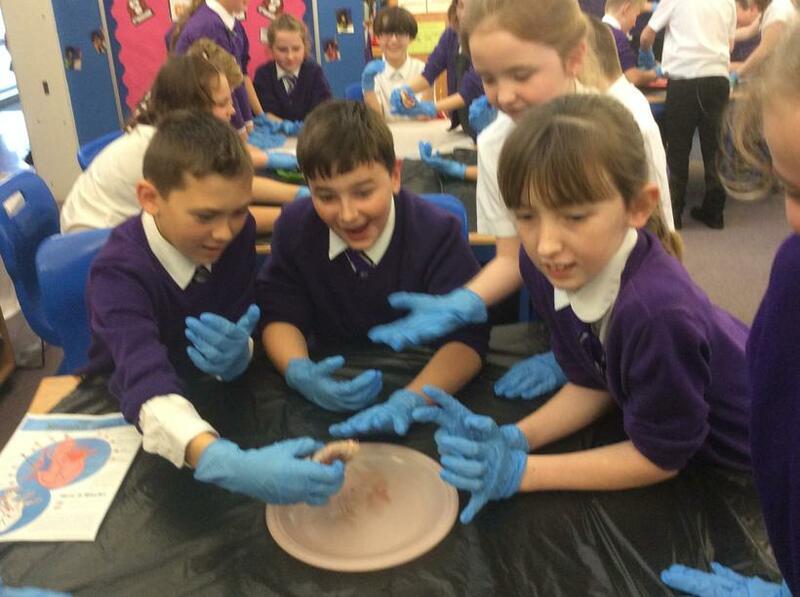 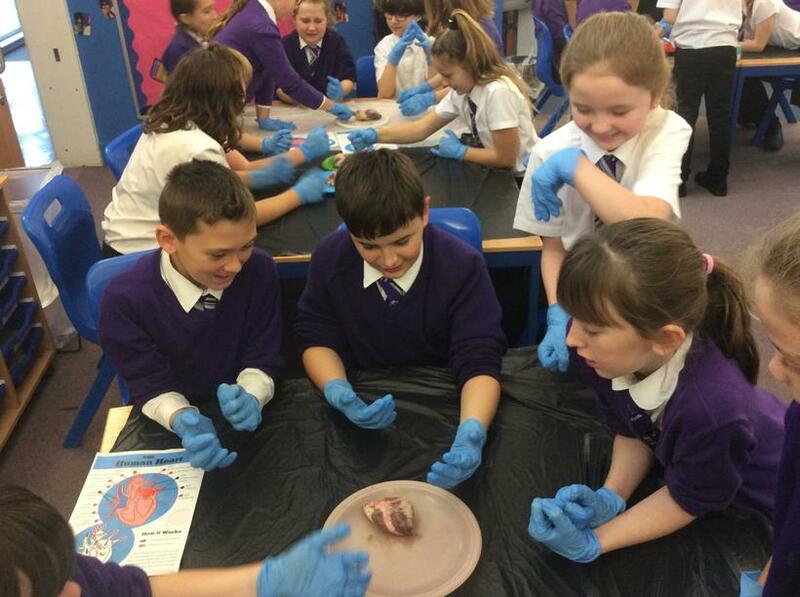 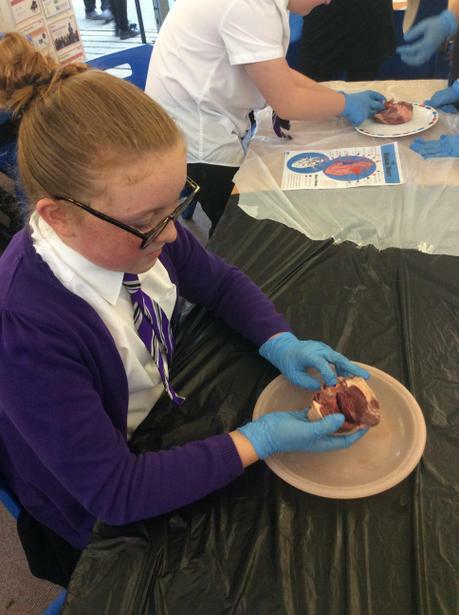 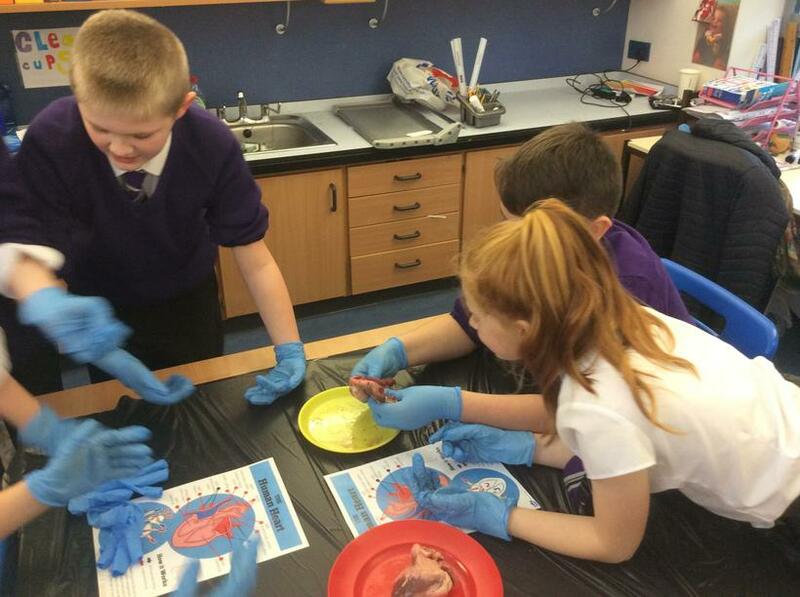 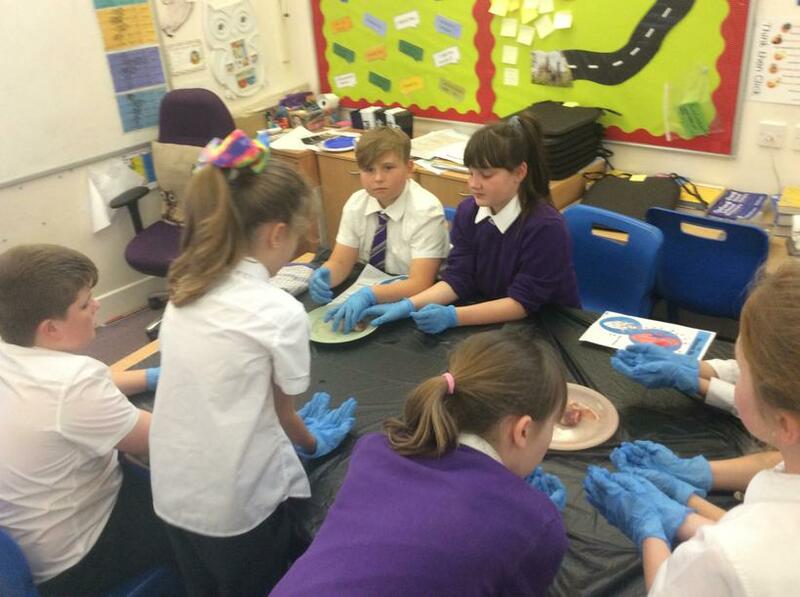 Year 6 explored the structures of a heart by looking at lambs' hearts. 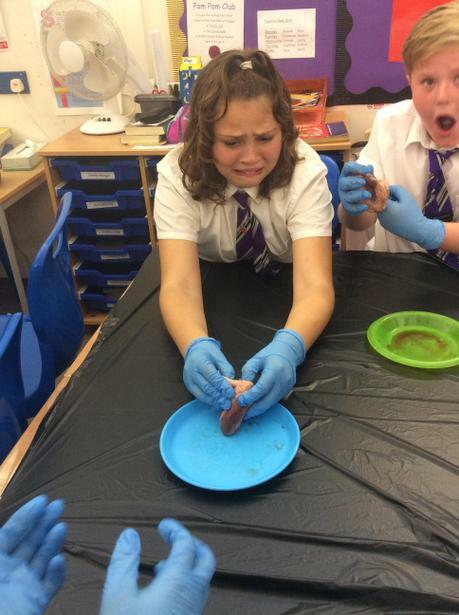 Some were more keen than others in this very practical lesson! 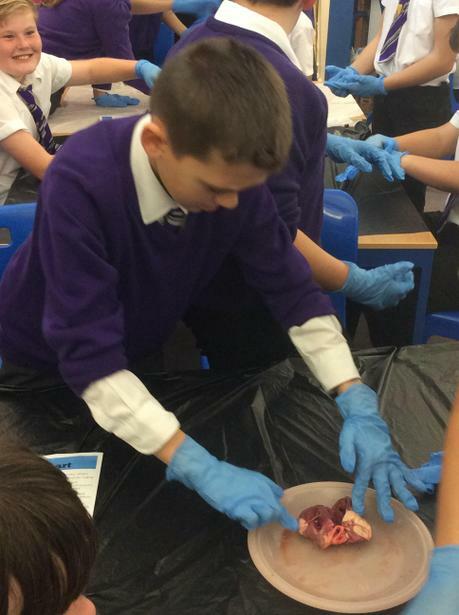 Year 6 were lucky enough to visit the Warner Bros Studios where the Harry Potter films were made. 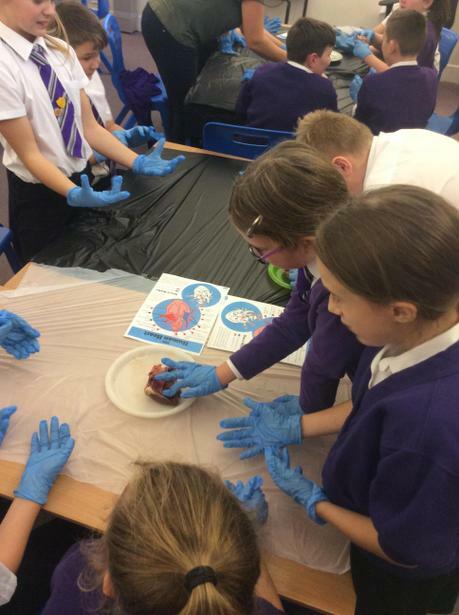 This exciting visit enhanced our learning and enjoyment as we studied Harry Potter and the Philosopher’s Stone in class. 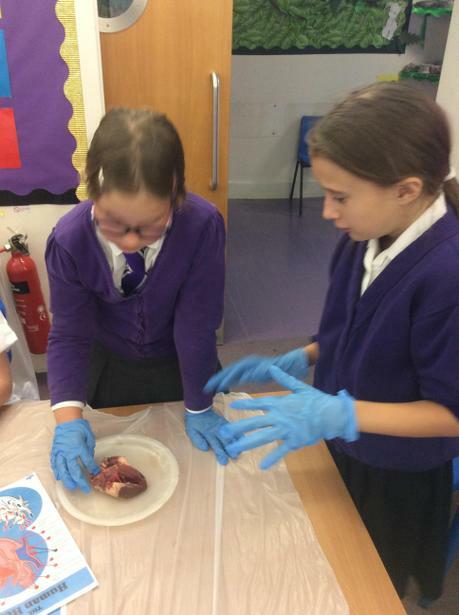 As a result we have written in-depth and detailed recounts, as well as our own fiction stories with a magical twist! 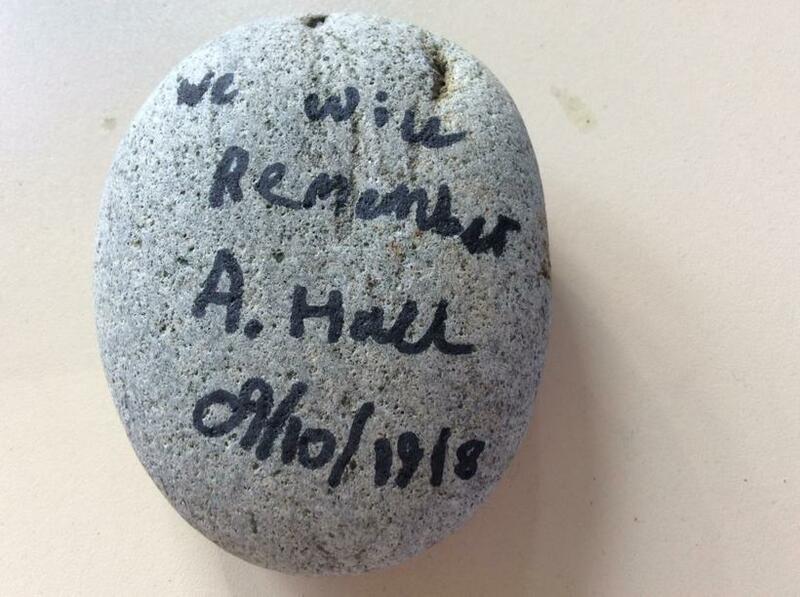 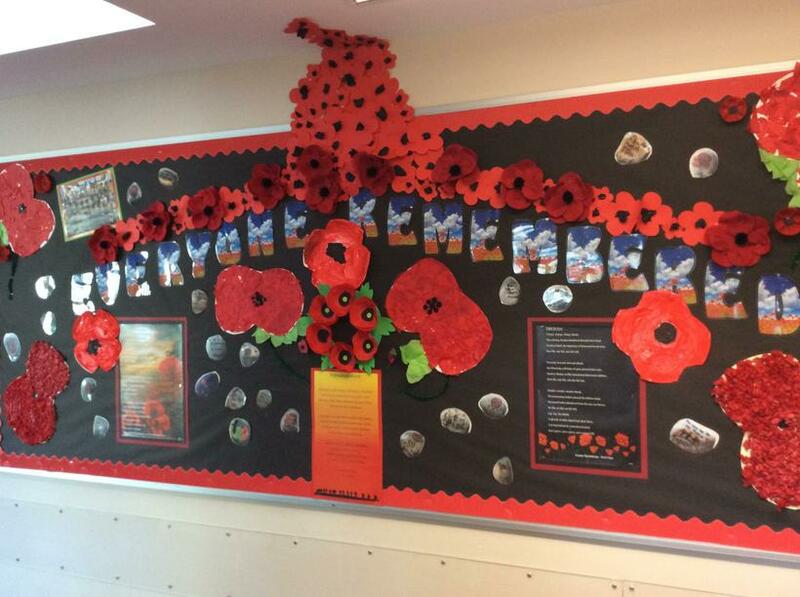 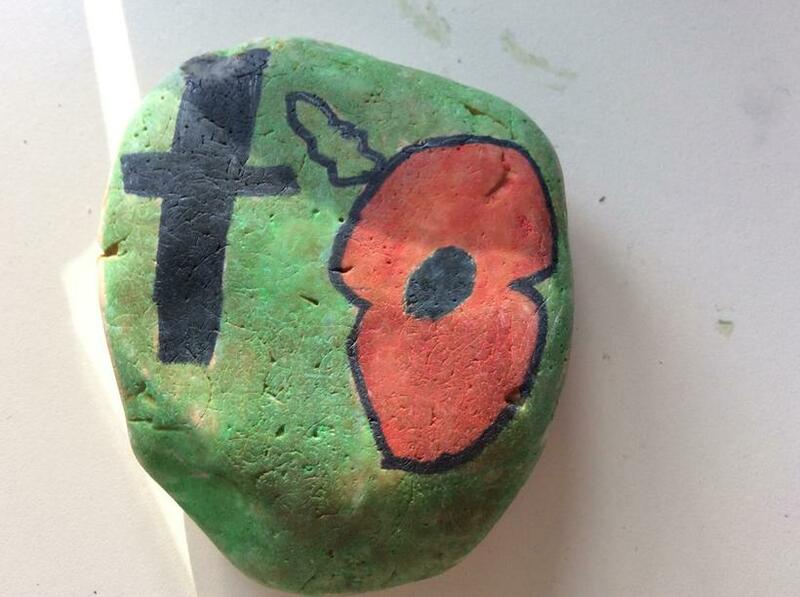 Owl class chose to remember Private Harry Potter from Ashford, Kent who was part of the 5th Battalion: The Buffs. 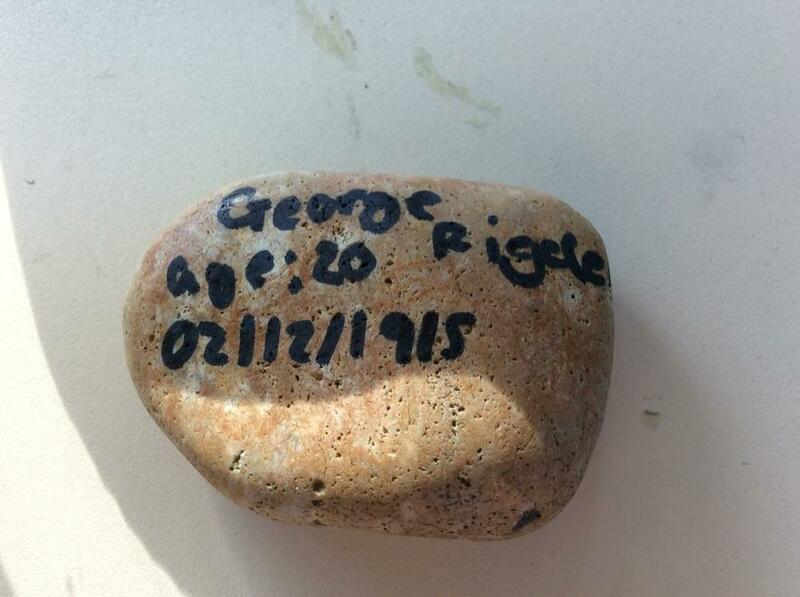 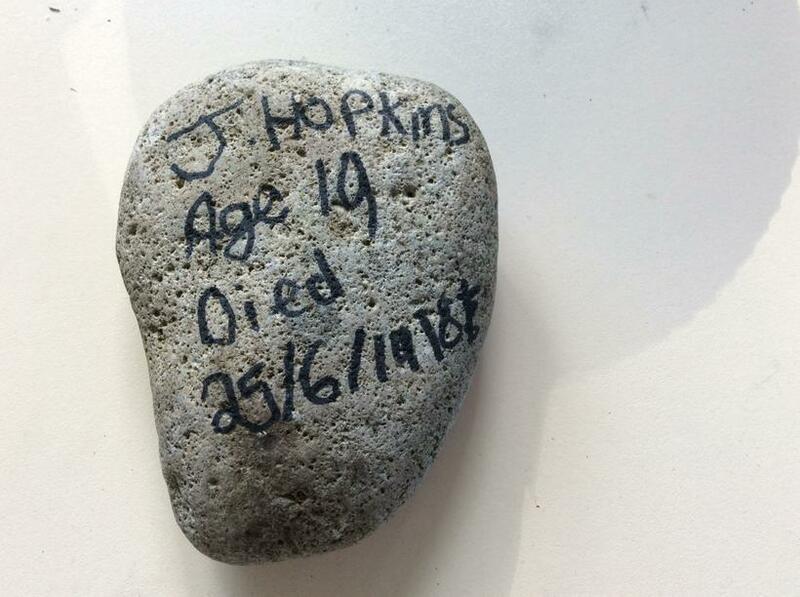 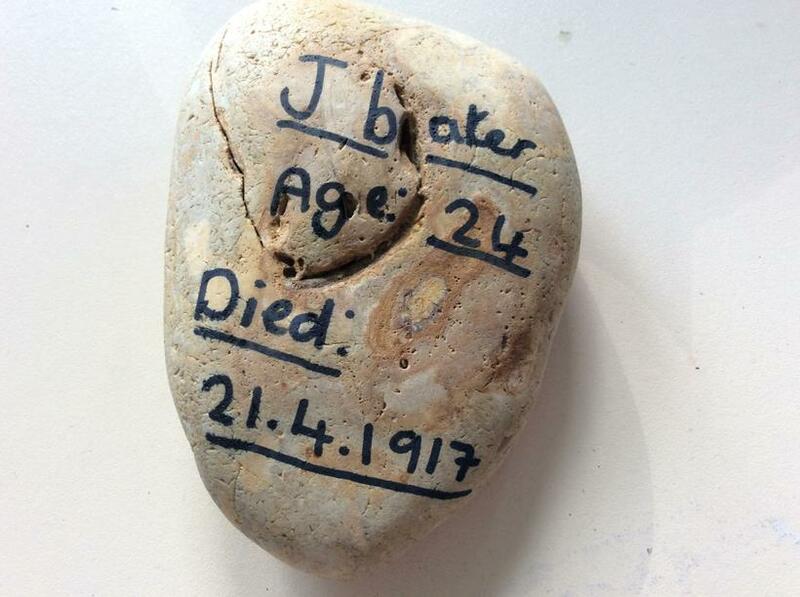 He sadly died in 1919 aged 23 years old. 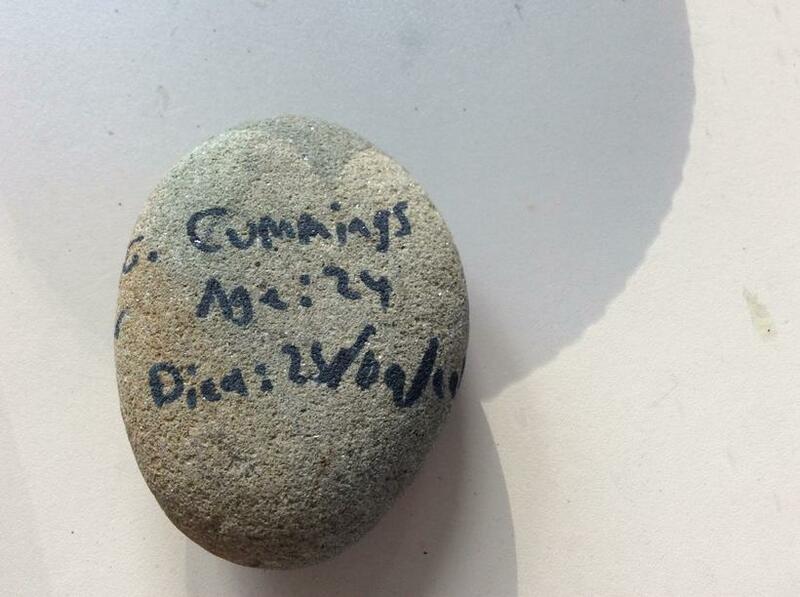 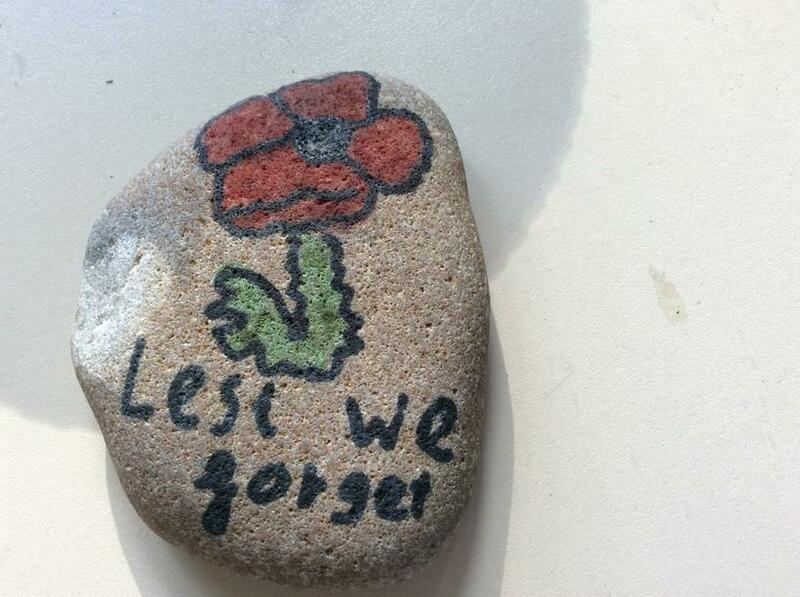 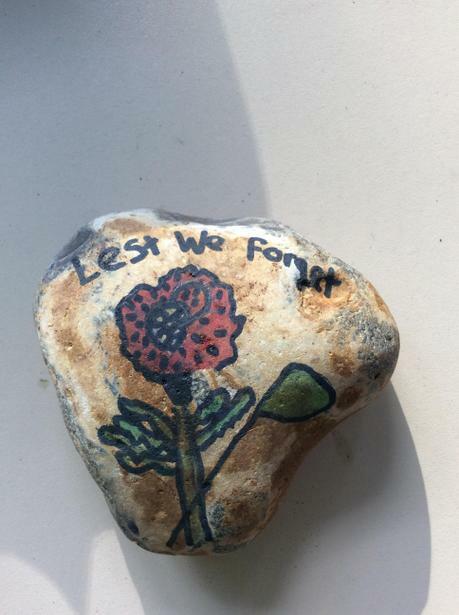 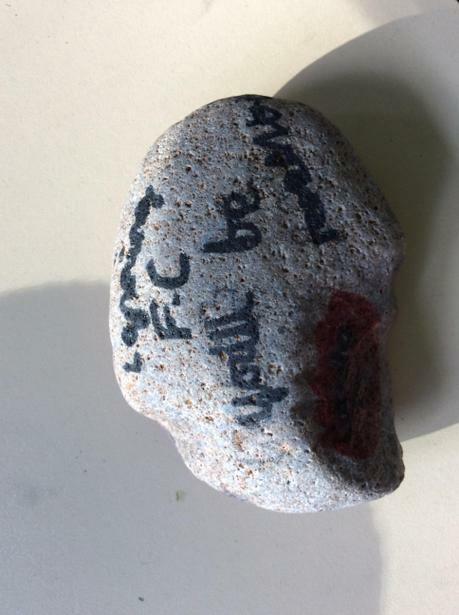 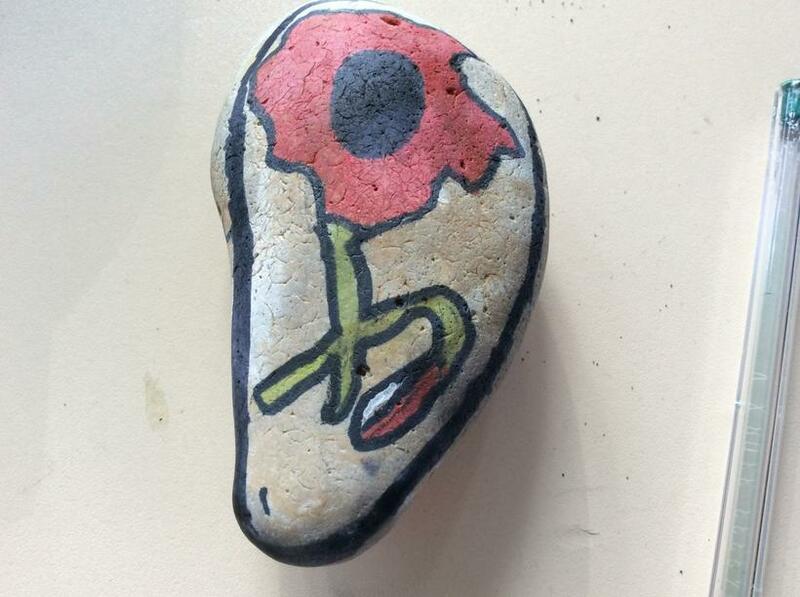 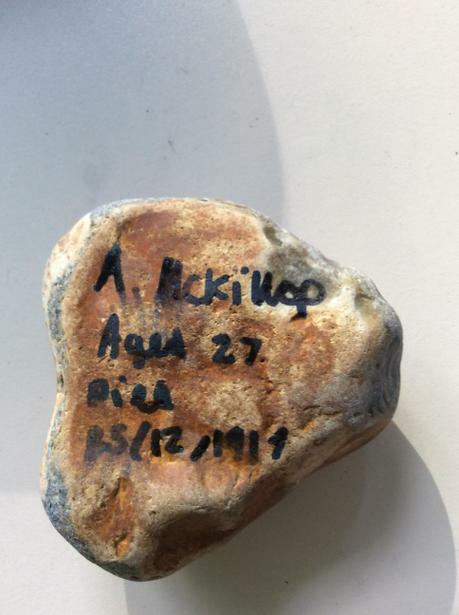 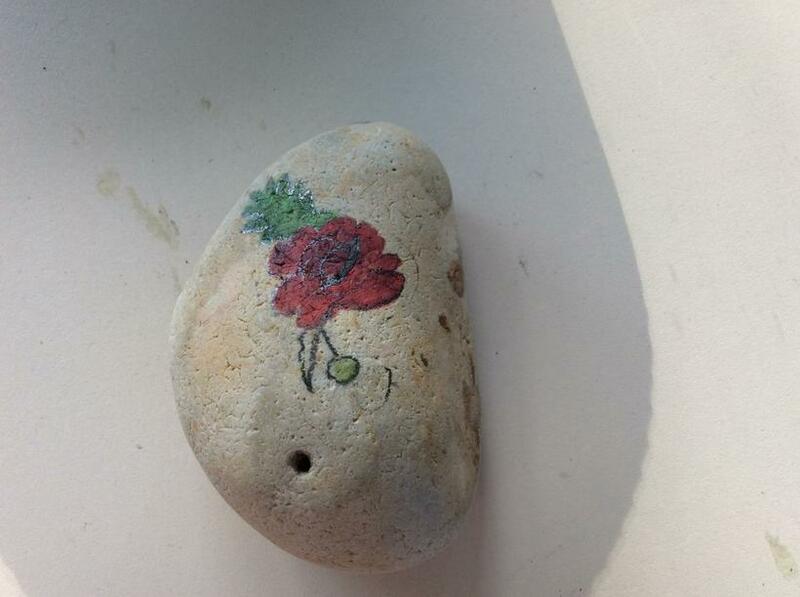 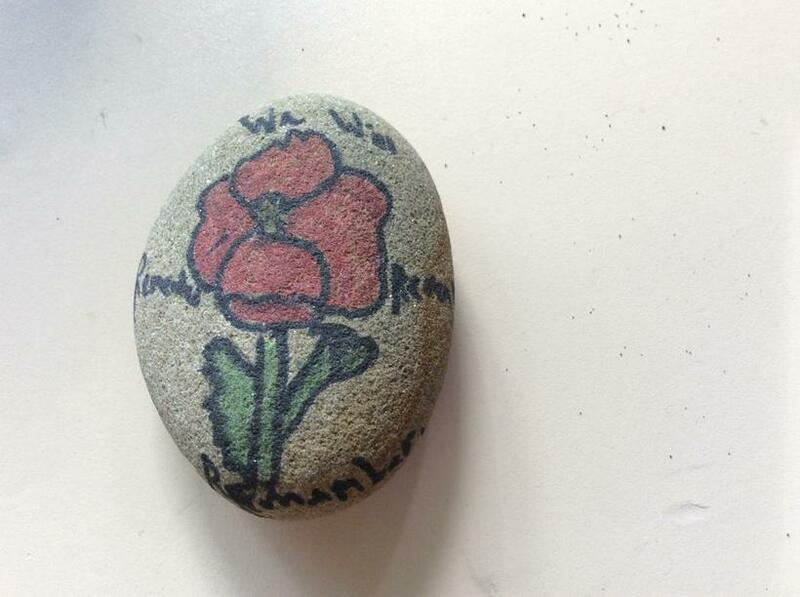 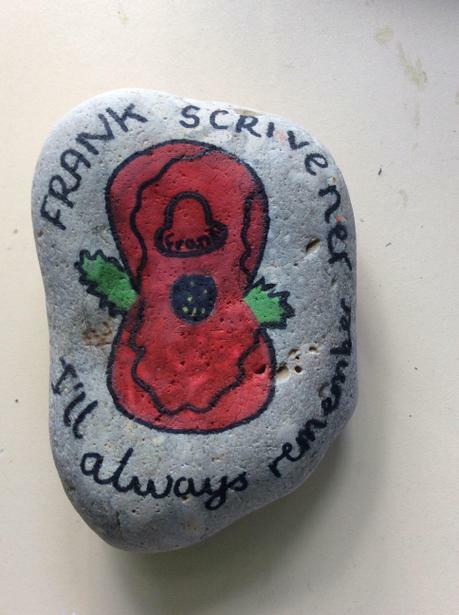 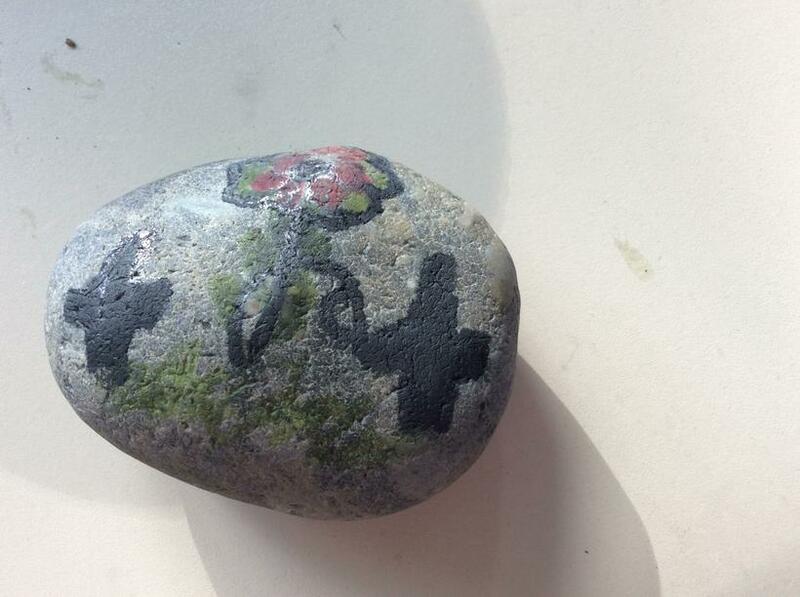 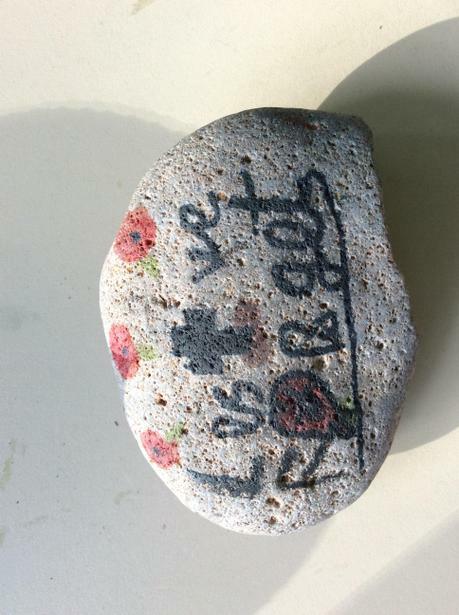 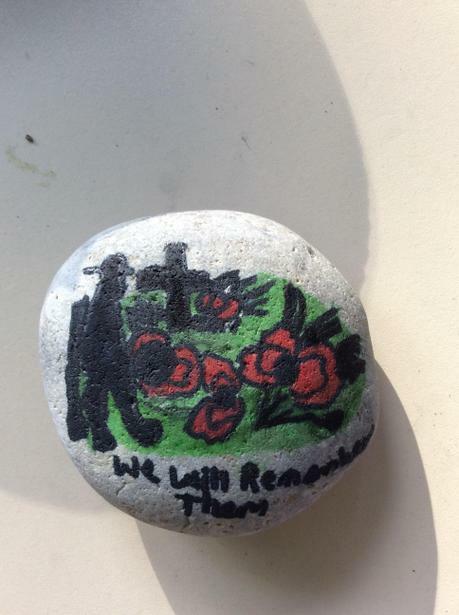 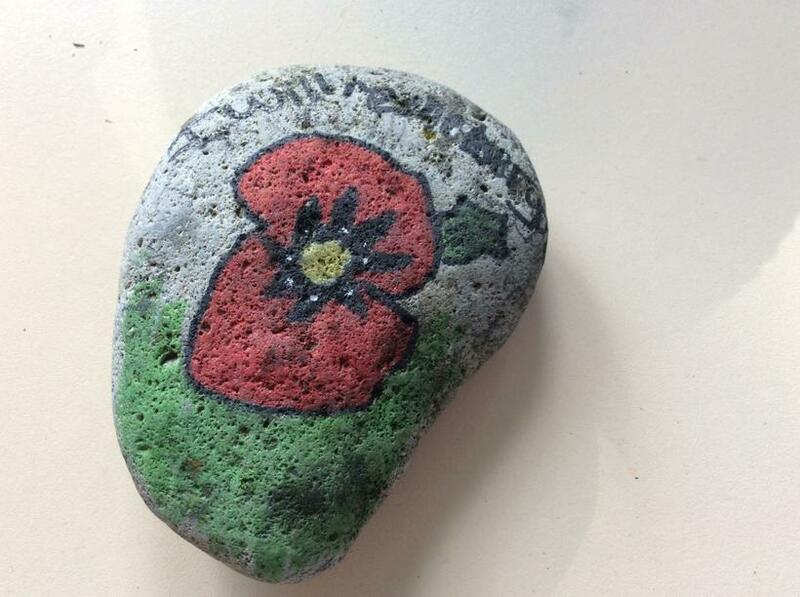 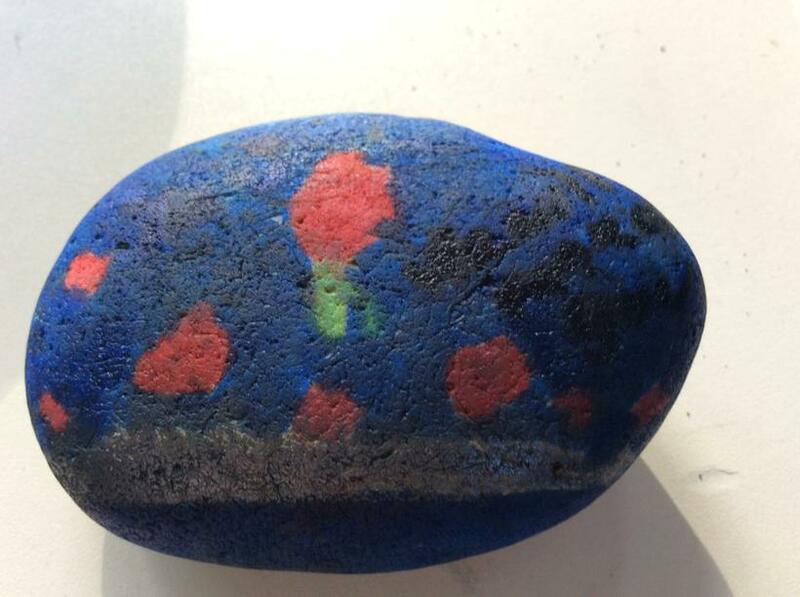 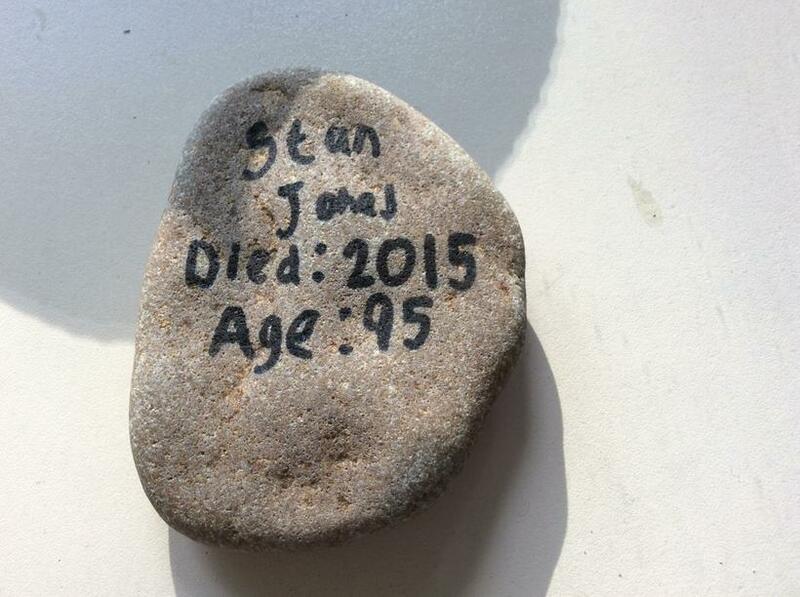 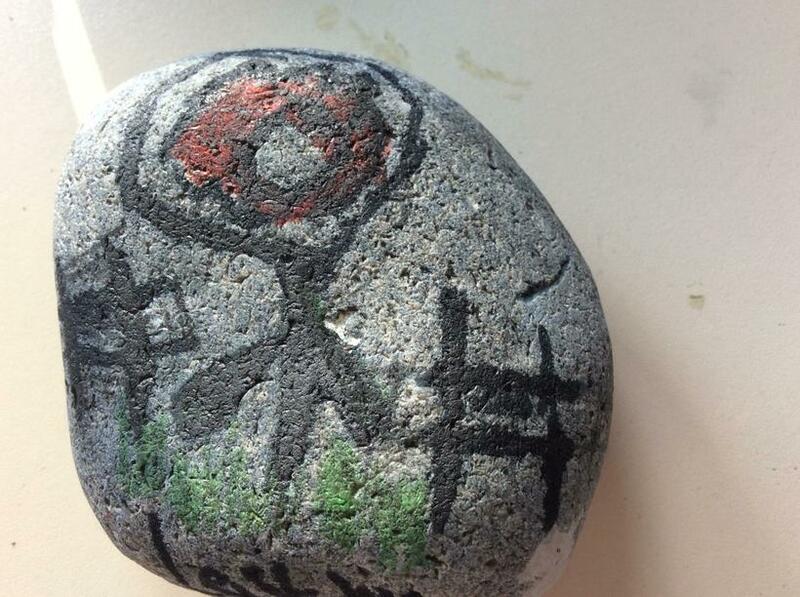 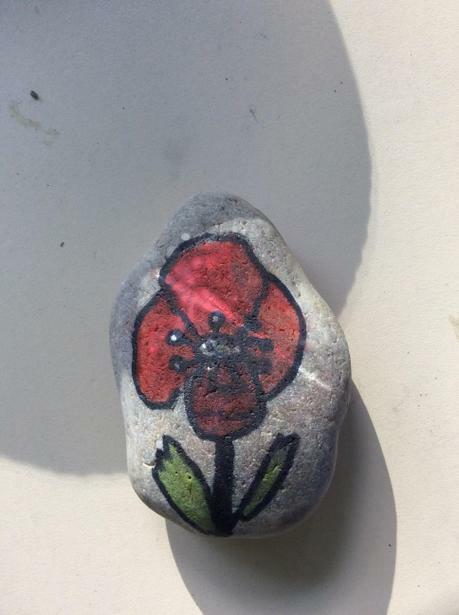 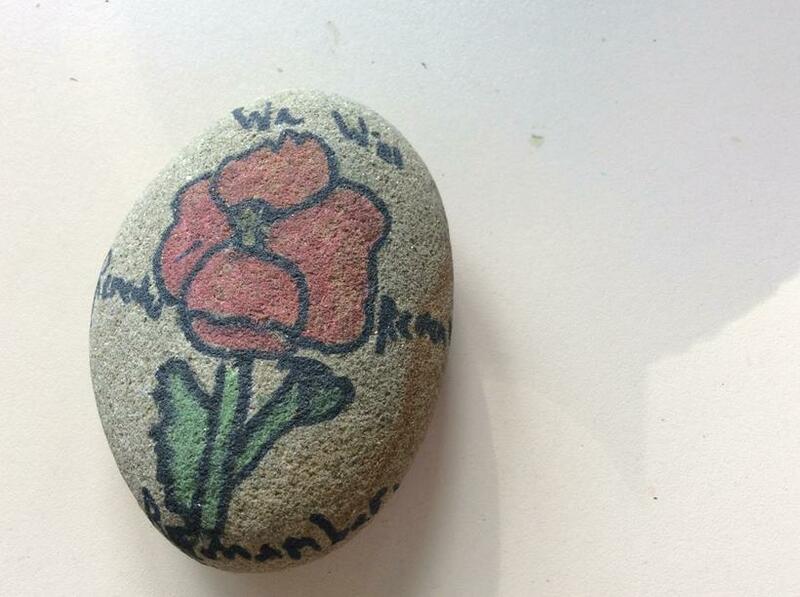 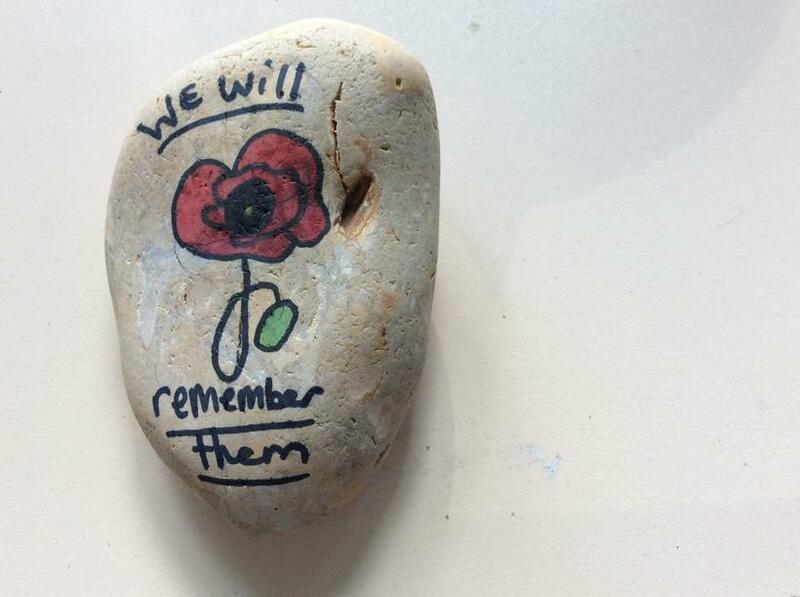 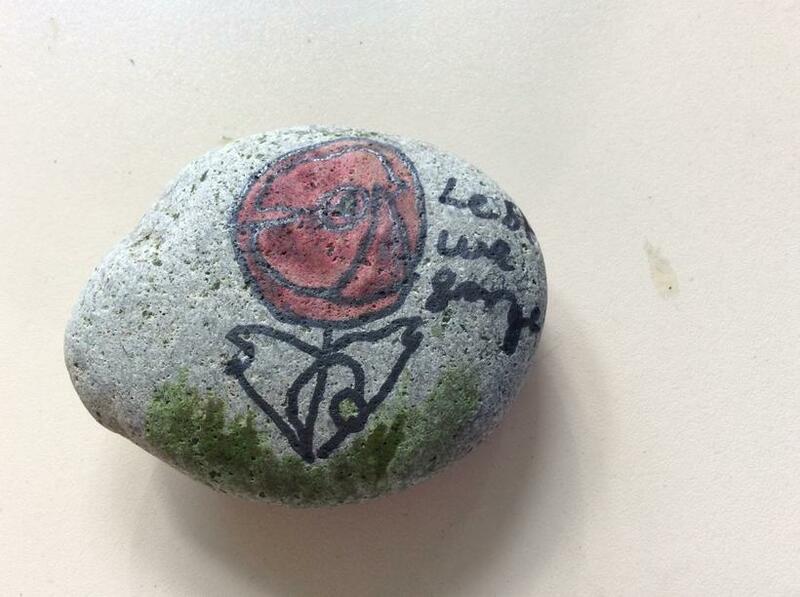 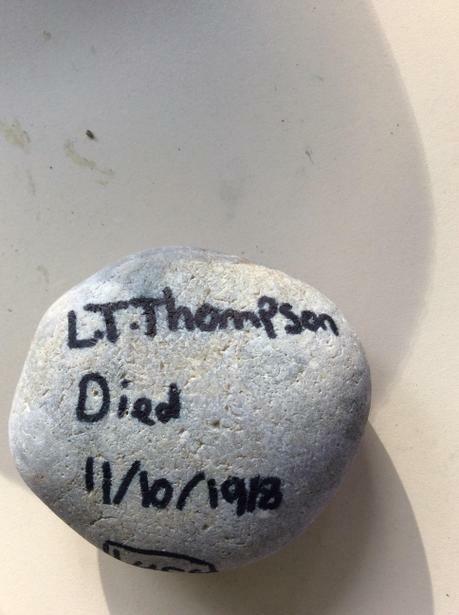 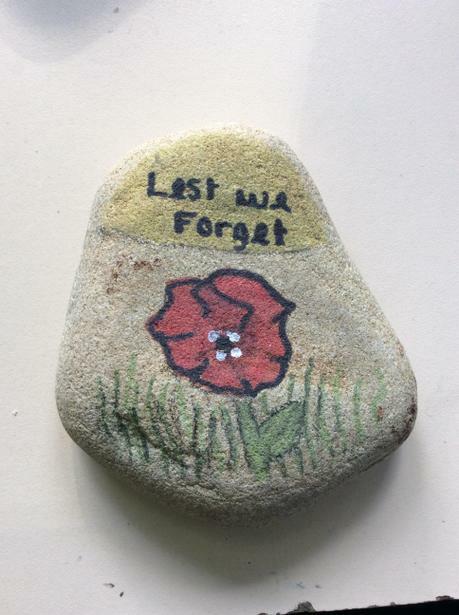 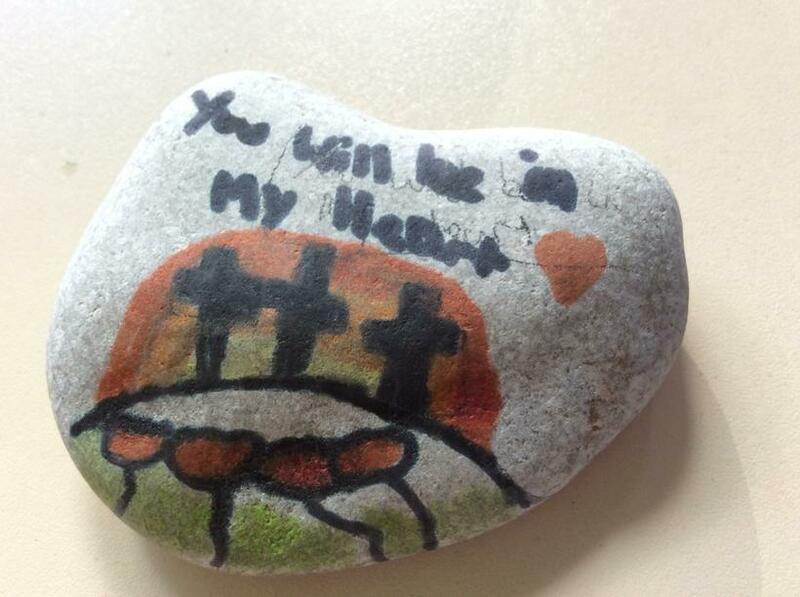 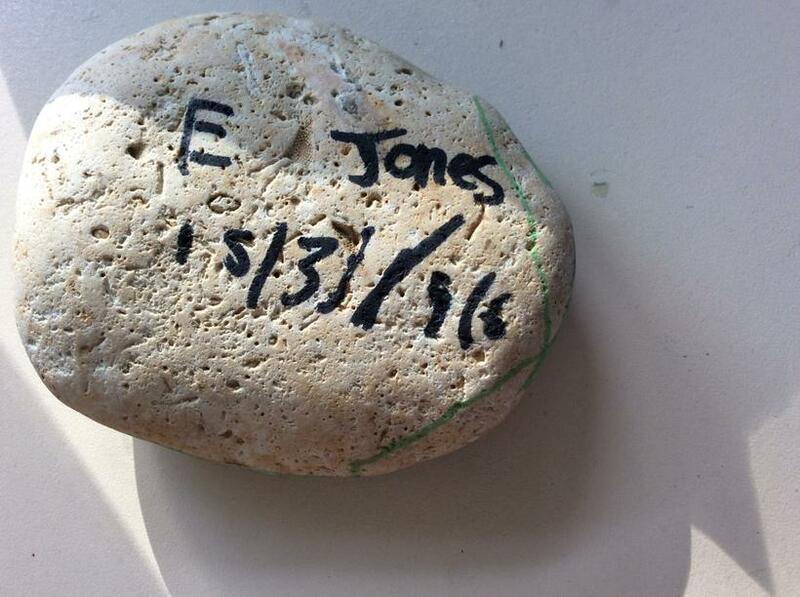 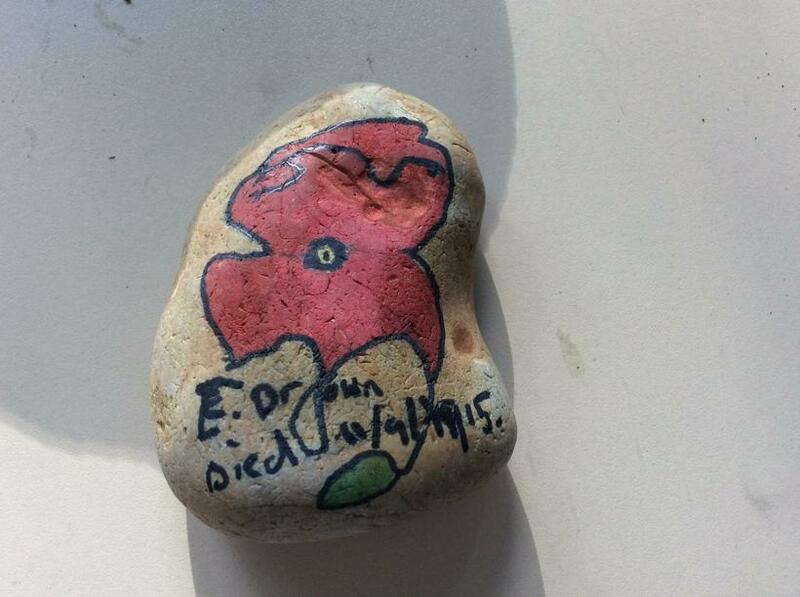 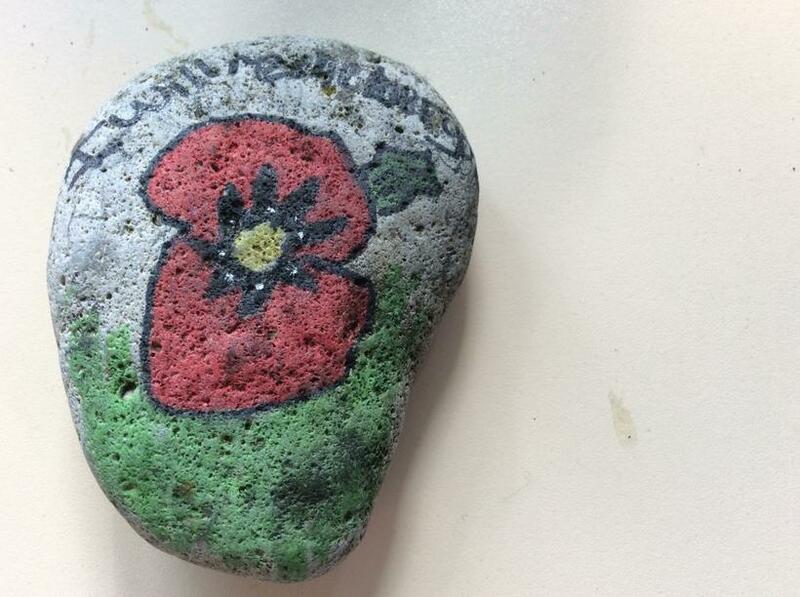 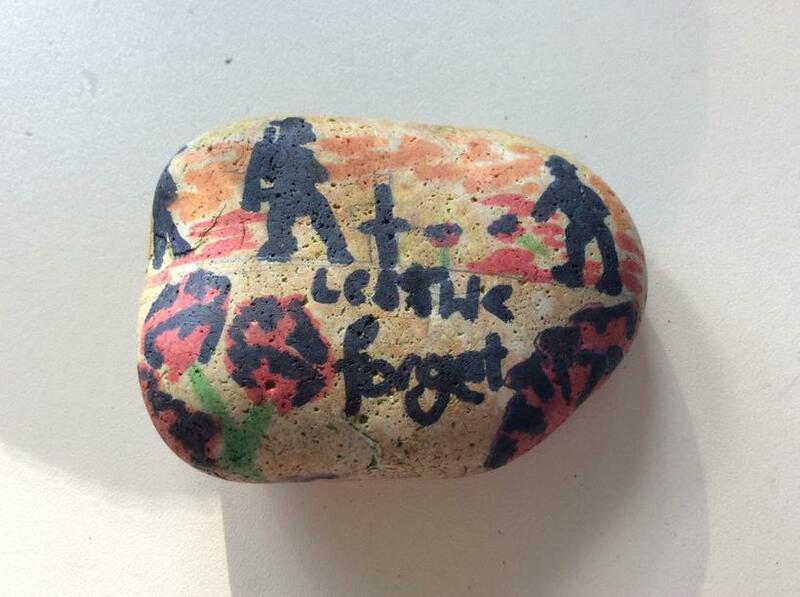 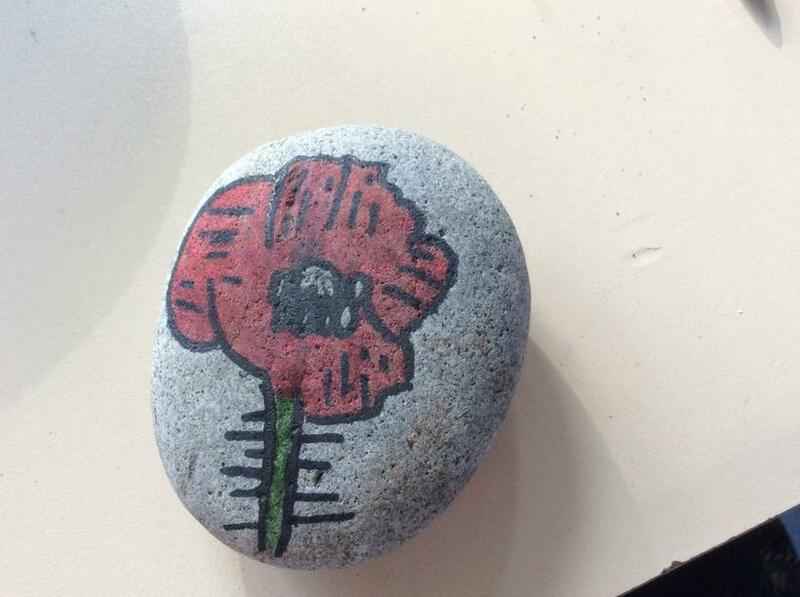 The children then chose someone to remember from either their family or from the fallen soldier list by painting a pebble to be placed in their garden.